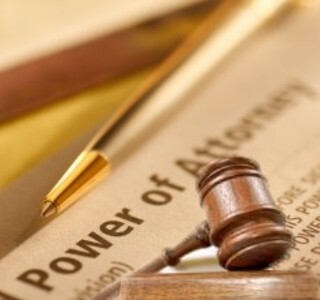 Most of us (hopefully) have executed our own Powers of Attorney, with the understanding that, if we cannot act for ourselves, then the person we appoint in the Power of Attorney (the “POA”), our “agent,” can act on our behalf. Many of us have also been appointed as the agent or successor agent of another person’s POA, whether executed by a family member or by a close friend. We gladly accepted appointment as agent for our loved one or close friend (the “principal”), thinking in the back of our mind that we would never actually have to use the document. But, what happens when the principal does become incapacitated and cannot act for herself? What do you (the agent) need to know? We have assembled the following “Top Ten” list to help agents in exercising the authority granted in a POA. This list is in no way meant to be exhaustive of all circumstances that could arise — it is intended to address some of the more common situations that an agent may encounter. 1. The “Golden Rule” – it is your absolute duty to always act in best interest of the principal. As an agent under a POA, you have a fiduciary duty to act in the best interests of the principal. Failure to do so could result in personal liability. 3. Give copies and not originals. If a bank, financial institution or other party requests the POA to keep on file, do not give them the original document. Instead, only permit them to retain a copy of the POA. You can allow them to make a copy of the original, but make sure that they only keep the copy and return the original to you. 4. Don’t record the POA unless selling real estate. The only time that you need to record an original POA is if you are selling or transferring real estate on behalf of the principal. Otherwise, the document does not need to be a matter of public record. 6. Don’t alter the principal’s estate plan to name yourself as beneficiary (including life insurance and retirement plans). An agent should be careful not to alter the principal’s estate plan (for example by changing beneficiary designations) unless the POA provides authority to do so. And in any event, the agent should not alter a principal’s estate plan in order to benefit him or herself. Both instances could lead to personal liability for the agent. An agent cannot write a Will for the principal. 7. Keep good records. Remember, as an agent under a POA, you have a fiduciary duty to act in the best interests of the principal. In order to defend any claims of a breach of fiduciary duty, it is important that you document and keep good records of your actions. Retain all financial statements, canceled checks, and check registers. If the principal is somewhat competent, regularly review your actions with the principal. Meet regularly with the principal’s financial advisor, CPA, insurance agent, and banker and take notes at those meetings. 8. Don’t make gifts unless authorized in POA. Agents under a POA are only authorized to perform acts that are authorized in the document or, if the document incorporates powers provided under state law, then those powers provided under state law. The law in the State of Ohio does not explicitly authorize an agent to make gifts on the principal’s behalf, so, if the document does not give the agent the authority to make gifts, then an agent could be subject to personal liability for making unauthorized gifts. 9. Be sure to file the principal’s income tax returns (including estimated payments). Incapacity is no defense for failure to file income tax returns. As agent for the principal, you have a fiduciary duty to act in their best interests and on their behalf. Failure to file an income tax return on behalf of a principal could lead to personal liability for an agent. 10. Stop acting if a guardian of the principal’s estate is appointed. A guardian of the estate takes precedent over an agent under a POA. If one is appointed, you should immediately cease acting under a POA.